On Friday afternoon, Blac Chynawas arrestedat Austin-Bergstrom International Airport on charges of being “drunk and disorderly” and for possessing a controlled substance. But her new boyfriend, Rob Kardashian, is standing by her. According to TMZ, Chyna was arrested after storming the gate and calling a flight attendant a “nasty a** b***h,” according to an eyewitness. 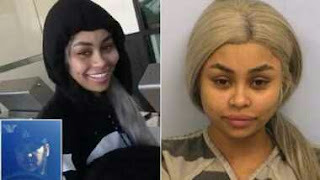 Only hours after the arrest, Kardashian showed hiscontinuing supportfor his new girlfriend, posting an image to Instagram that appeared to show them video chatting. The public show of support came even as rumors have been recently circulating that Kardashian plans to return to reality television with Chyna at his side.